J&M Roofing and Construction is a top provider of residential and commercial construction services in Oklahoma. With over twenty years of experience, we offer various construction services with client satisfaction as our number one goal. J&M Roofing and Construction provides clients with a free estimate of the project at hand. Whether this is a commercial or a residential project, we will make sure that from the very start, you will know what the costs are with no hidden charges. Get in touch with us for a free estimate today! As a general contractor in the greater Tulsa and Tahlequah area, it is sometimes difficult to list all of our services. We can be called on as a builder, roofer and renovations company offering these quality services. Thinking about building your dream home? J&M Roofing and Construction can build your custom home or commercial building the right way. Our company is a full-service, comprehensive, custom residential and commercial home building service provider. Whether you are looking for a company to do renovations, residential home building services, commercial home services or roofing construction, we can offer timely, efficient, quality craftsmanship with a time-tested and approved local professional team that gets the job done exceeding all your expectations. We provide you with blueprints to make sure we build is exactly what you had in mind. J&M Roofing and Construction is a specialist in metal buildings and red steel buildings. Red Steel is one of the world’s most used types of building materials used for construction around the globe. The red steel beams provide durability and strength, ideal for wide open spaces and long-lasting structures. We can create red steel buildings for home residential or commercial purposes according to the blueprint you have in mind. These are a great structure idea for barns, commercial spaces, storage spaces and even airplane hangars because they consistently outperform other material and have stood the test of time. Post frame buildings by J&M Roofing and Construction provide tons of benefits for Oklahoma residents. For one thing, post frame buildings use solid wood posts or laminates to support trusses and girts with no steel or wood. It uses an interlocking frame that is able to handle great loads compared to stud-wall construction. Post frame buildings also provide quick assembly. Compared to other types of building techniques, post frame buildings can be up and running in no time. There are fewer requirements for construction and the building you have in mind can be built any time of the year. Because of its quick assembly-time, you will be able to save time and money in the process. 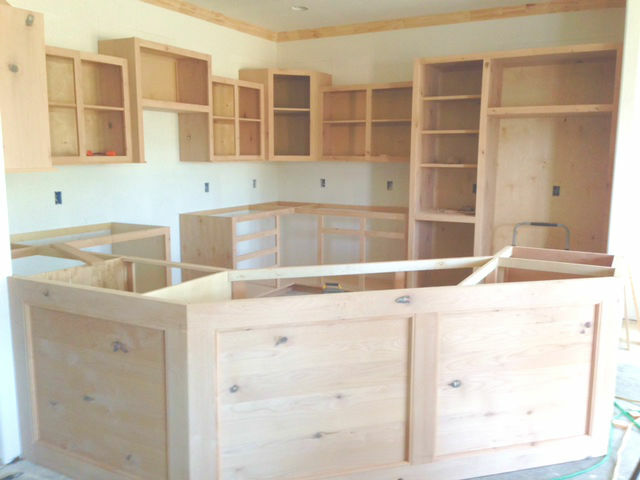 Wood is also more affordable than concrete and you will save on costs of labor as well. We pride ourselves in being THE authority in home roofing as well as commercial roofs. This includes metal roofs, shingle roofs, tile roofs and even slate. From asphalt shingles to wood shake, one important consideration is what roofing material to use. Remember that the type of roofing you decide on will contribute to your home’s overall look. If you updated your existing roof, this adds to the value of your structure and communicates the feel and look of your building. While it is important to prepare and properly install roof frames and trusses, the roof material really does bring your building exterior to the next level. Call (918) 931-2450 for a free estimate today! 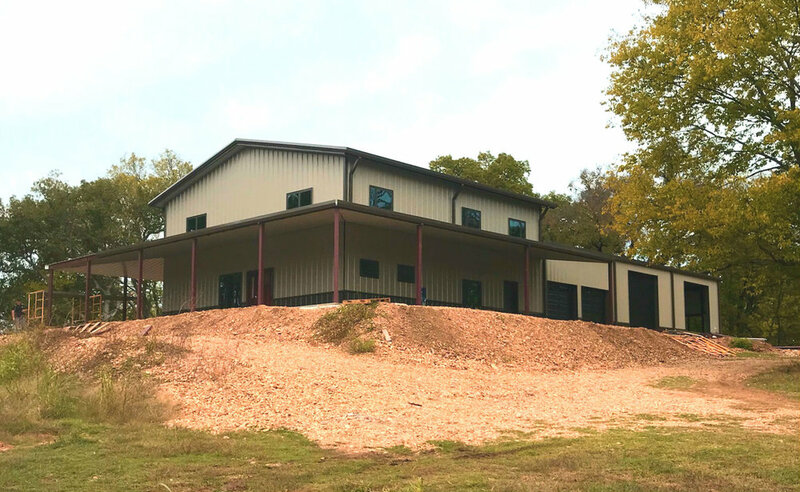 Raised in the hills of the beautiful Ozarks just outside Lake Tenkiller, we're a local building and construction company with over 20 years of experience and expertise in many different types of buildings. We take pride in all of our jobs because we understand the importance of integrity in our small towns and cities in Oklahoma. Reputation is everything around here and that is exactly why we take special care down to the centimeter of every building. We build for the future. If we put our hands on a structure it's as if we're building for our own family or business, to withstand the elements and perils for hundreds of years. With every job we can offer a custom design from the ground up, insured and skilled workers, on time job completion and communication the whole way. Most of our customers tell us that we carry ourselves with the utmost professionalism and not only build homes, but we build relationships. As a member of the communities of OK and AR, we understand the quaint character and unique charm that you will not find anywhere else. From the local coffee shops to the mom and pop shops, we understand better than anybody what these communities are all about and can build your project knowing all the nuances of character and weather considerations in the area. We know which roof works best for which location and the type of weather unique to the community. We know the distinct character of where we are located and build accordingly. We understand more than any other company that every decision we make will literally impact the entire community and take great care with coming up with only the best building decisions in the area. 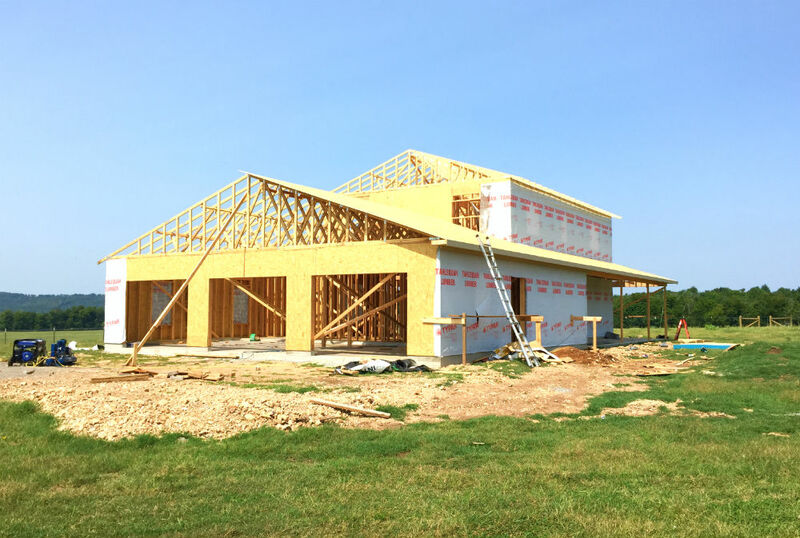 Raised just outside Lake Tenkiller in the beautiful Ozark foothills, we are a local company for building and construction with more than two decades of expertise and experience in different kinds of buildings, both commercial and residential. We are proud of what we are able to offer the Tahlequah area and understand how important our integrity is in the small communities of Oklahoma. Around here, a good reputation is everything. It is for this reason that we take care of every detail in each and every building we construct. We construct structures taking into consideration the unique perils and elements of this state, being familiar with the weather and the climate of the Green Country. From the ground up, we offer custom design, skilled and insured workers, transparent communication and a complete job that surpasses your expectations done right on time. We strive to build a solid relationship with you as our client as we build your home or building. We know how important it is to get a good referral or repeat business and take care to make a great, lasting impression on you no matter how big or small the project is. We contribute to the communities of OK and AR and help build a sense of community. We have built longstanding relationships with the locals and know them by their first name. We have formed relationships locally and know that excellence will benefit everyone and ultimately, the town itself. As part of the community, we have become an integral part of Oklahoma and the Tulsa area. For this reason, we know all the decisions that will make an impact. We participate in local events and are part of the day to day community events. When you are considering which construction business to hire in the area, the best choice would be someone familiar with everything in the community. As a local business, we help create jobs in OK and AR. Rather than having to find work somewhere else, local residents can rest assured our thriving company will continue to hire locally. This benefits everyone, saving on commute time and providing local jobs. We gladly represent and regularly travel to our clients in Cookson, Tahlequah, Tulsa, Keys, Park Hill, Zeb, Muskogee, Wagoner, Lake Tenkiller, Illinois River and Paradise Hill in Oklahoma. What is the True Cost of a Roof? What does it cost to build a roof? If you are hoping to get a straightforward, simple answer to this question, you are likely to be disappointed. This is because no single, accurate answer can satisfy your curiosity. Different factors must be considered to get to an accurate cost. In this post, we discuss some of these factors and how they can determine the total cost of your property. When hiring a residential roofing company, a little bit of research is necessary to choose an experienced contractor who can offer your roof the much-needed quality to keep your personal belongings and family safe from the harsh elements outside. It is a good idea to check out several candidates with a great business reputation and proper licensing. In this post, you will learn how to choose the best residential roofing company for your home. 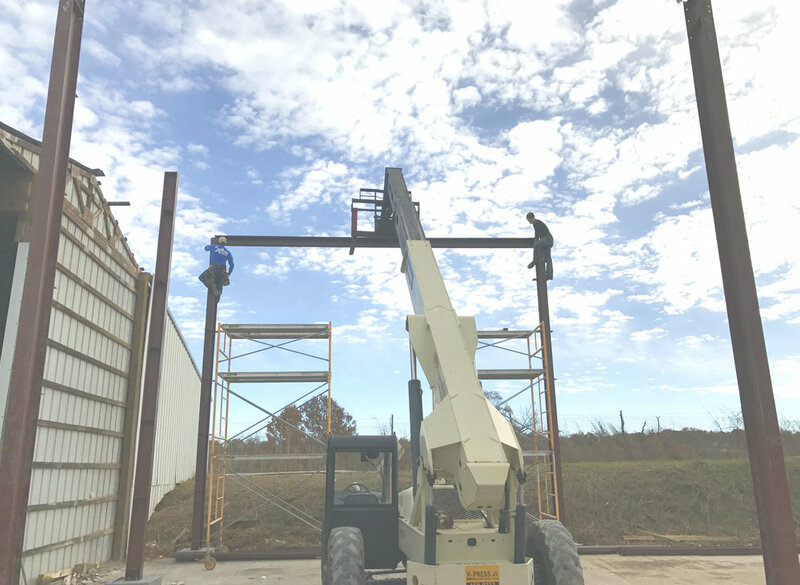 A pole barn is a great choice for a resident of Tahlequah, Oklahoma. The pole barn is not only a perfect building for a shed or a storage. A pole barn is often used to house farm animals, such as horses, cattle and goats. The pole barn can be insulated from the inside, meaning that the animals in the barn will be kept warm even in winter. Situated in the beautiful landscape of hills, rivers, and mountains outside of Lake Tenkiller in Oklahoma, J&M Roofing and Construction is one of the well-trusted, professional and long lasting building and construction companies in the area. We have experienced building all kinds of buildings, from barns to commercial buildings, from small homes to large estates, and from metal buildings to brick homes. We specialize in providing small-town residents as well as big city businesses the construction and roofing jobs they desire. We provide a custom design starting with the foundation all the way to the end of the project.